Wow, I can't believe it's already Friday!? I'm sorry that I've been on this hiatus, but this cold really kicked our butts this week, especially mine and Cora's. We are doing much better now, but it was a rough ride I tell ya. A sick toddler is no bueno and I hope she doesn't get sick for awhile cause that was NOT fun. Since I decided to try and rest up as much as possible, and stay away from my laptop, you'll have to forgive me with the rather random post today. It's a hodge-podge of what's been going on in my crazy little head and just things that inspire or motivate me in some way. I'm obsessed with finding the perfect plum lip color. It's so on-trend and really gives off a glam/edgy vibe that I love. Gotta keep it mysterious. 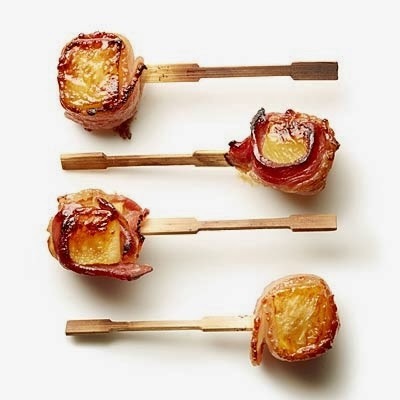 How perfect are these Pineapple Bacon Bites for tail-gating?? It's the kind of thing I would want to eat while watching some Football. Did you guys get the newest Domino magazine issue?? They are back and I for one (along with millions of others) am happy that they've returned. I love the other shelter magazines out there, but I feel like Domino is absolutely, positively, one of the most accessible. Everything (literally everything) in this magazine is something that I want to have or try out. And I love that they feature people who live in studios and not some grandiose townhouse or mansion. It's nice to see how 'real people' live, right? And Lauren McGrath's studio apartment is exactly the kind of stuff I want to see. It shows us how to really maximize all the space you have to work for your lifestyle. And honestly, who couldn't use that kind of insight for their own living space. This space to me is exactly what Domino stands for. Pops of color, texture, culture, and most importantly, functionality. And on the other side of the style spectrum, you have a neutral but glam interior by none other than Nate Berkus and Jeremiah Brent. It oozes a quiet sort of glamour, no? 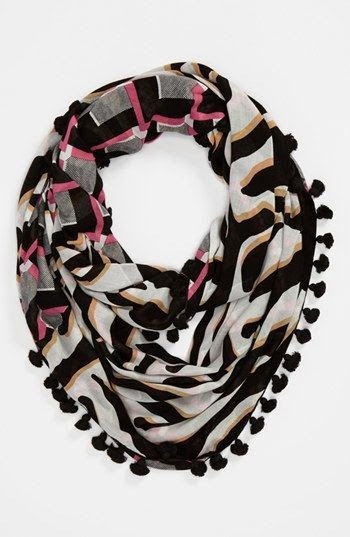 I could see this scarf going with everything I own. It's got the right amount of colors that pop but isn't too much of a scene stealer. 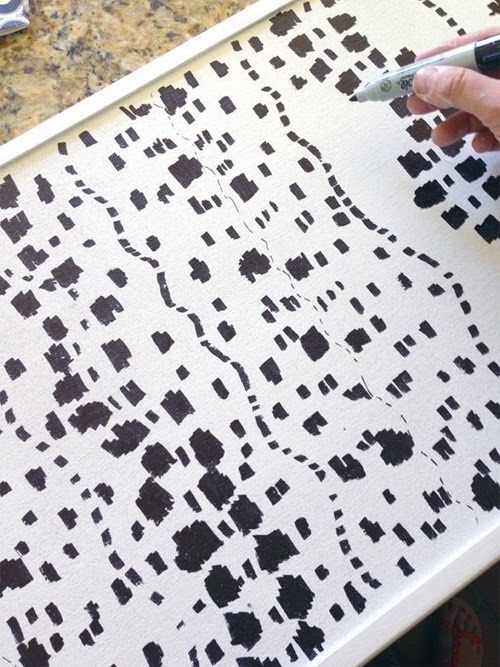 One of the easiest DIYs for wall art out there right now. Head on over to Jenny's site to check it out! I realize I have been sooo very slacker on getting Cora's playroom ready, but we are finally getting the carpets steam-cleaned (per the hubby's request) this Monday so once that is all done, I will start on the playroom. Promise! I am in love. With this bed. 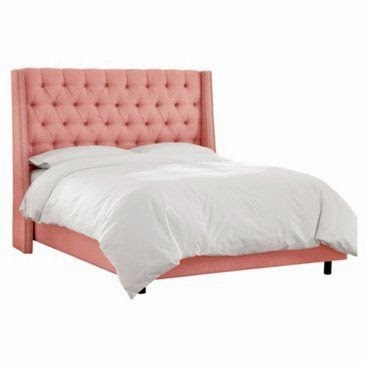 I would totally buy this (without the hubby's input) if it would only fit in the space we have in our bedroom. Alas, it doesn't fit so I have to let it go. But isn't she a beauty?? Seriously?? This is genius. When Cora is older, I'm definitely going to keep this in mind for Halloween costumes. Hope your daughter is feeling better! 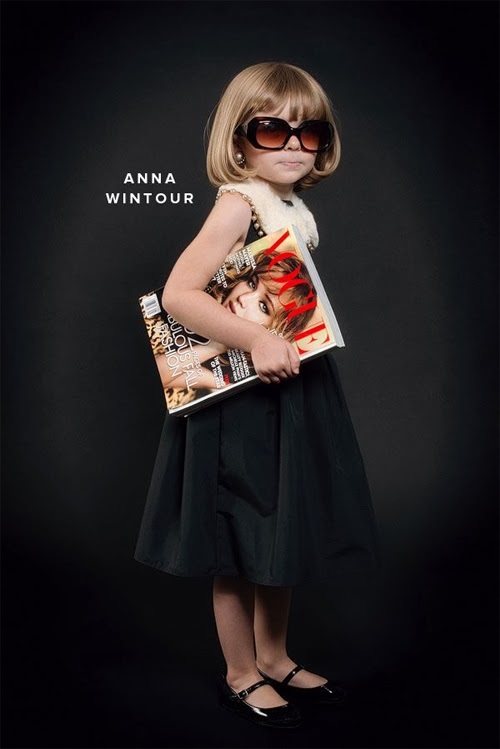 That Anna Wintour costume is adorable-but it must be tough for a toddler to walk around holding that hulk of a magazine! It's gotta weigh a few pounds at least, they should make a hollow version for the costume, hah. And I agree, I'm so excited that Domino is back! Other shelter mags just don't excite me as much-because as you said, they just aren't as relevant to real living as Domino is.